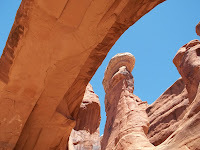 Tower Arch is located in the Klondike Bluffs area of Arches National Park near Moab, Utah. 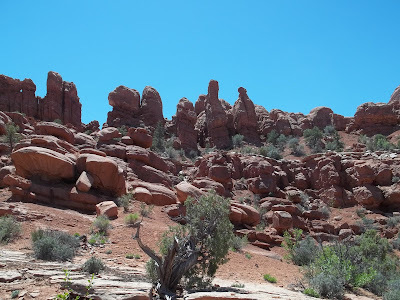 This hike is well off the beaten path in Arches NP. 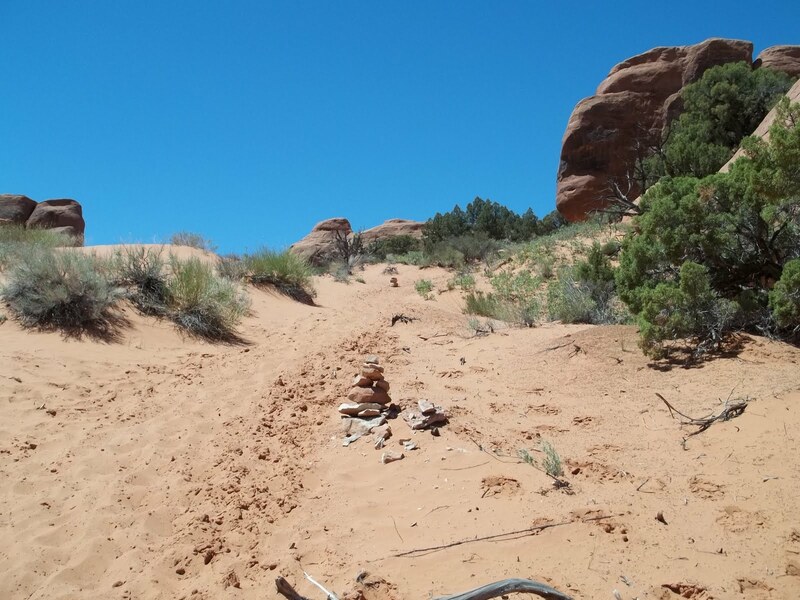 To get to the Klondike Bluffs area you must take a dirt road, the Salt Valley Road, that begins just past the Sand Dune Arch trailhead, and follow it for about 7 miles. For the first few miles the gravel road is oiled. Part of the road follows a wash and there is a sign warning that it is impassable during wet weather. Some stretches of the road may also have an extreme case of the washboards. 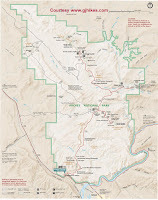 It is also possible to access the area directly from Highway 191. All that said, the hike is well worth the effort to get to the trailhead. 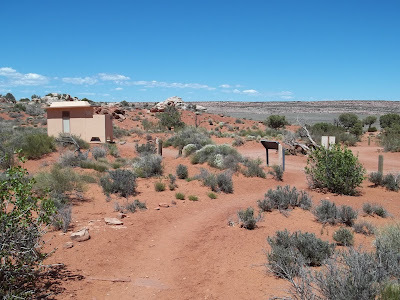 The kiosk at the trailhead points out some interesting information about the history of the area. Even at this remote location you should be well pleased with how clean the park service keeps the restrooms. 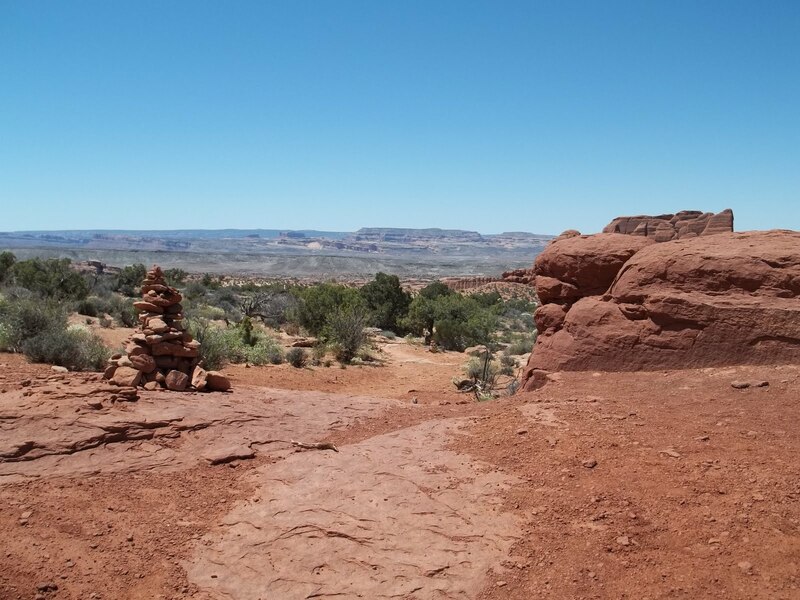 The Tower Arch hike begins by testing your legs as you have to ascend a steep hill right from the start. The trail gains almost 200 feet in the first quarter mile. The trail levels off at the top of the hill where there are some good views of the surrounding area. 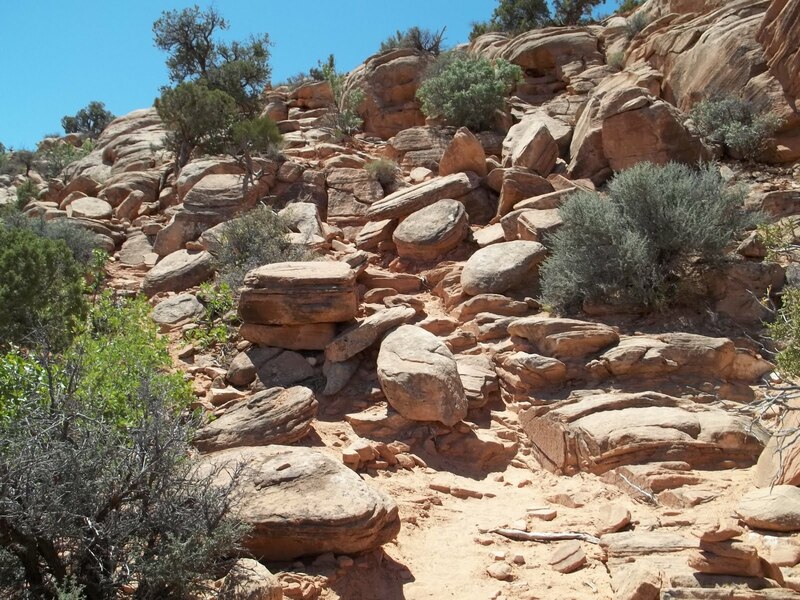 The trail drops down into another valley that is ringed with high rocky cliffs. 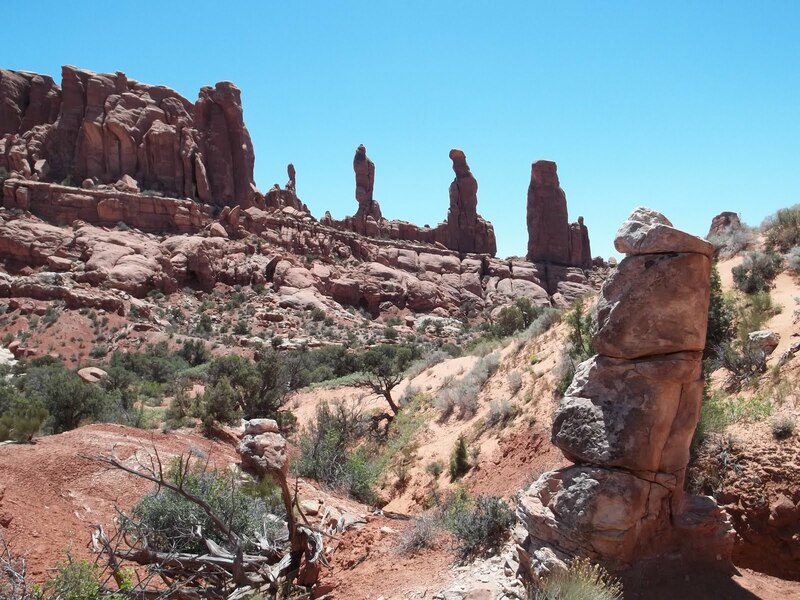 This group of the monoliths are known as the 'Marching Men'. After crossing the valley the trail climbs once again this time up a very sandy hill. At the top of the hill the trail becomes easy once again and varies from slickrock to well packed dirt. 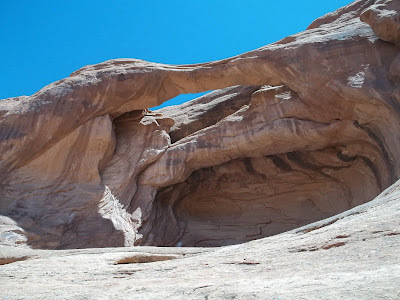 Parallel Arch appears on the right side of the trail after descending a short rock fin. 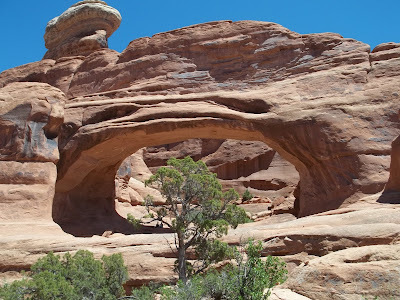 This arch is easy to miss on the hike in but is more noticeable on the trip out. 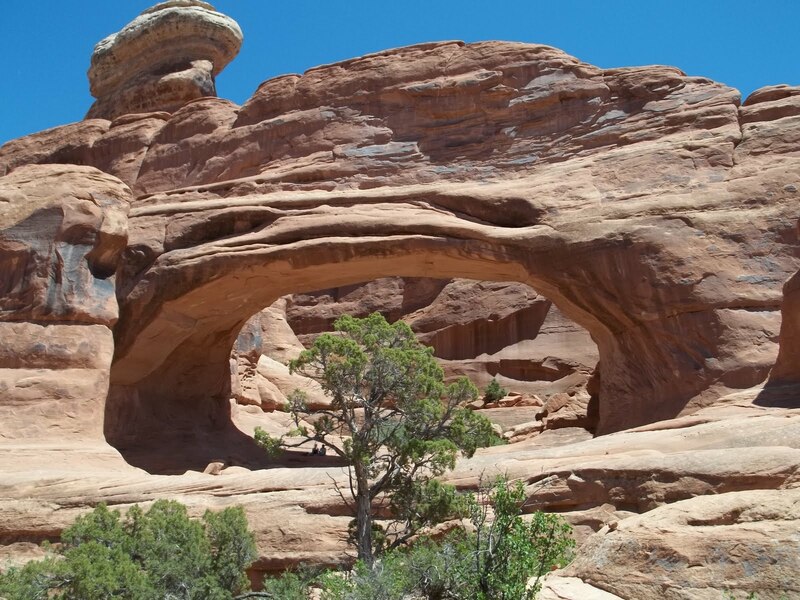 Tower Arch is only a hundred yards or so past Parallel Arch. The arch gets its name from a tall rock tower behind the arch that can be framed by the arch from certain viewpoints. A little bit of scrambling is required to climb up under the arch where you can enjoy some shade and some better views. 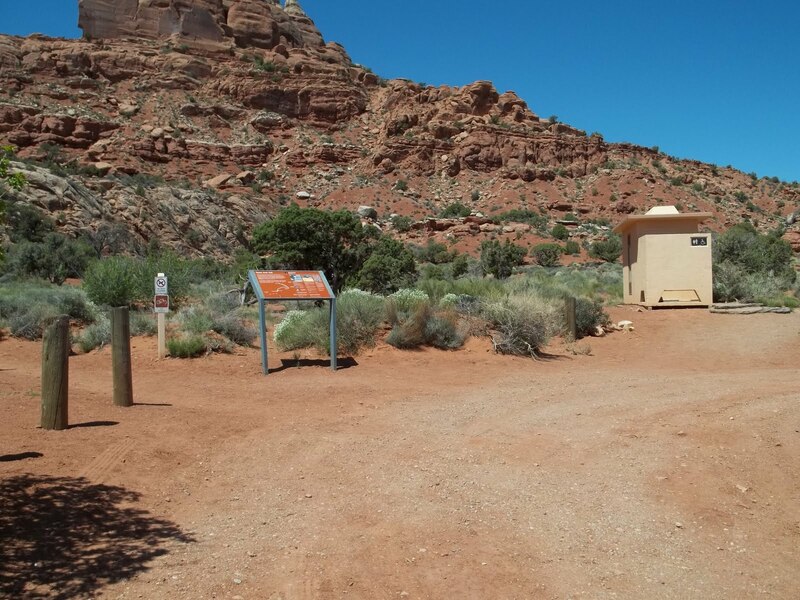 There is a trail sign between Parallel Arch and Tower Arch that points to an alternative route that leads to the 4-wheel drive trailhead. If you parked at the Klondike Bluffs trailhead you could take the trail to the 4-wheel drive trailhead and then hike down the road to get back to your vehicle. This option will add about 3 miles to your overall distance. 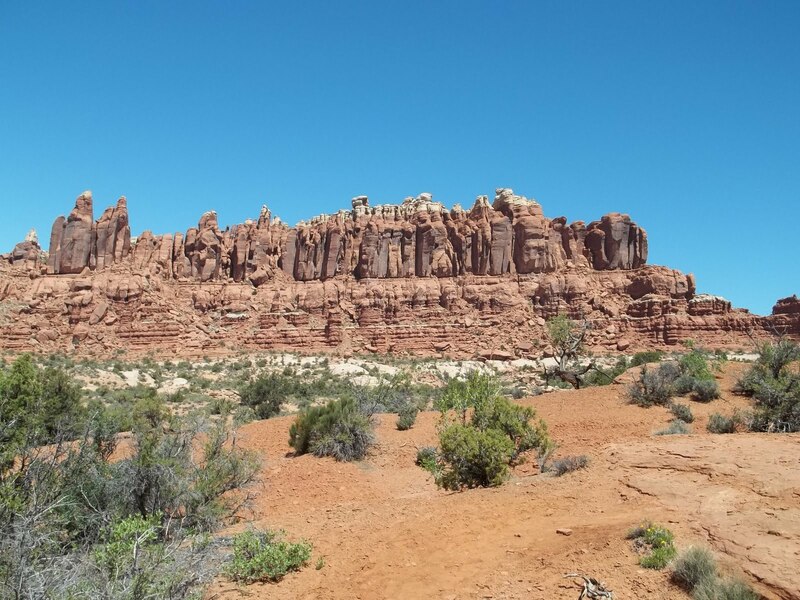 The Klondike Bluffs provide a spectacular view on the hike back through the valley. 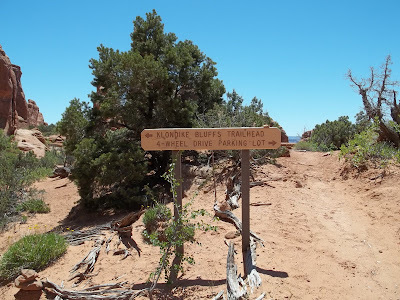 I would have normally given this hike a moderate rating but the Park Service gives it a strenuous so I will yield to their judgement and do the same. 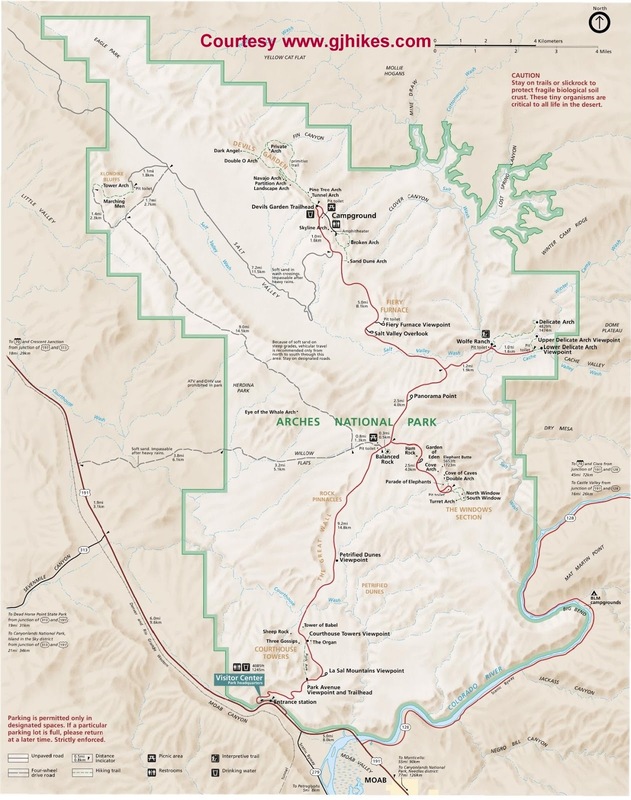 The area around Klondike Bluffs can get extremely hot during the summer months. 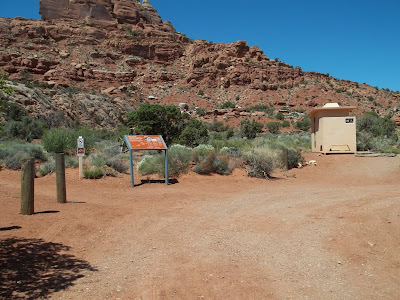 There isn't any water available at the trailhead so you need to pack plenty of it with you. This is a short hike but you might want to carry about a gallon of fluid per person with you if it's real hot. Tower Arch gets considerably fewer visitors than any other trail in the park which makes it a good place to get away from the crowds. If you would like to see it for yourself then all you have to do is 'Take a hike'.